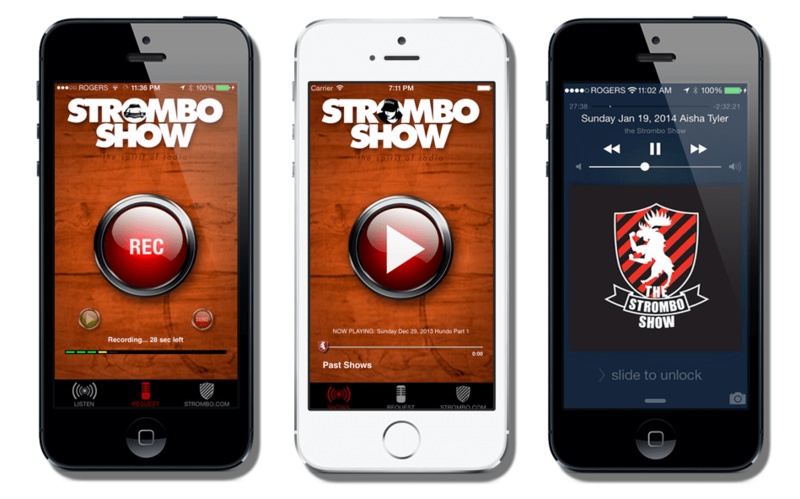 Canadian broadcaster, George Stromboulopoulos, host of the The Strombo Show on CBC Radio 2 asked us to create an app that could capture requests and stream past shows. To properly measure the popularity of the Strombo Show, they need to track the market need for previously aired shows. Built as a native iOS app, we stream an mp3 of the previously broadcast shows from our servers. There also is a facility for users to record and upload an audio request to George, accompanied by a picture they can capture. The app is featured on the Canadian App Store. It is rated 4.5 stars out of 5. It gets an average of 1900 seesions per month where users can listen to the show from around the world.